Welcome to the home page of the South Glamorgan High Sheriff’s website. Brian Lakin has been married to Elizabeth since 1980 and they have 3 sons and one daughter. The family home is near the village of Walterston in the Vale of Glamorgan. Brian was brought up in Barry but also has strong connections with the South Wales farming community and has enjoyed living in a country environment. Together with his sons, Brian established and bred a flock of pedigree Lleyn sheep for over six years at their small farm. Brian is Chairman and CEO of Sigma 3 (Kitchens) Ltd. He started the business aged 18 and has now been involved in the Kitchen Industry for over 40 years. Sigma 3 manufactures its products in its high tech 60,000 sq. ft. factory in Llantrisant, has a workforce of over 200 and supplies fitted kitchen furniture via its Masterclass brand throughout the U.K. to kitchen retailers and builders large and small. However the Company is best known locally for supplying and fitting kitchens to the general public via its eight Retail Showrooms, five of which are in South Wales: Swansea; Cardiff (2); Newport and Abergavenny. 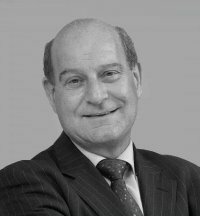 Brian is also Chairman of Fairwood Trust having joined its predecessor TSW Trust some 20 years ago where together with Trustees and management he applied his broad mix of general management skills to develop their commercial activities. In the last nine years as Chairman of Fairwood Trust, Brian has been delighted to have led the Board in its new brief to distribute its considerable resources to help individuals and organisations develop, grow and contribute to the local economy. In 2017 + 2018 Brian chaired a Capital Appeal on behalf of Tenovus Cancer Care aiming to raise £1 million to provide a World Leading cancer treatment Mobile Unit, to deliver chemotherapy and other treatments and services to communities throughout Wales. Brian intends to continue to support this appeal during his year of office as High Sheriff. Currently, through the generosity of the Welsh public and business community he was delighted that the appeal had exceeded target with funds in excess of £2.1m. Brian is a lover of sport and enjoys keep fit, golf, skiing and water sports. He is an avid Rugby fan having followed Wales and the British Lions for many years.